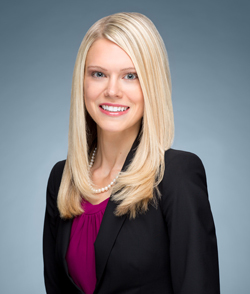 Caitlin Gritt is a founding partner of Bisceglie & Gritt, where her practice focuses on nonprofit organizations, corporate governance, business law, entertainment law, and litigation. Prior to starting Bisceglie & Gritt, Ms. Gritt was a partner at Bisceglie & Walsh, where she represented and counseled corporations, not-for-profit organizations, and private individuals in litigation, internal investigations, administrative, legal ethics, and white-collar criminal defense matters. Ms. Gritt served as a law clerk to the Judges of the Connecticut Superior Court, where she drafted judicial opinions and bench memoranda, and conducted legal research. Ms. Gritt earned her J.D. from The George Washington University Law School in 2011. She graduated Phi Beta Kappa from Cornell University with a Bachelor of Arts in Government, and with distinction in all subjects. She also completed a minor in Law and Society. Ms. Gritt is a member of the Board of Directors of the McClendon Center, a nonprofit organization that serves the needs of adults diagnosed with serious mental illness in Washington, D.C.